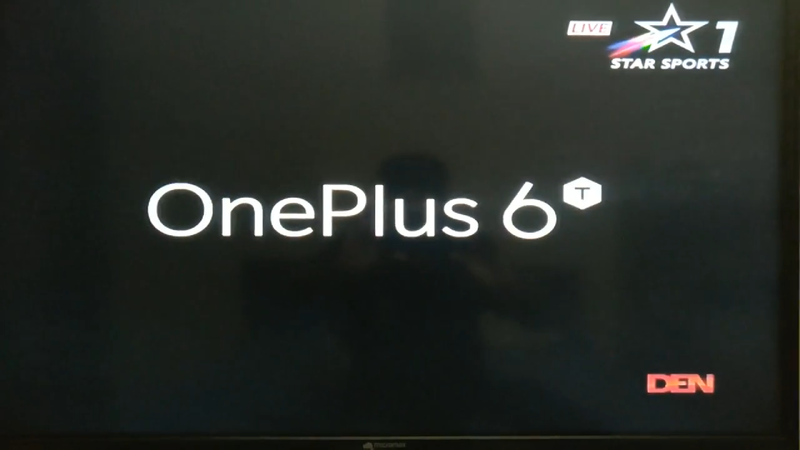 OnePlus 6T Revealed In Television Advertisement During India vs Pakistan Match - AndroGuider | One Stop For The Techy You! We know the OnePlus 6T is coming, but up until now, there hasn't been any confirmation of the phone from OnePlus. In a recent interview, co-founder Carl Pei referred to the 6T as the "next OnePlus handset." We expect the OnePlus 6T to be launched on October 17, so it was about time that OnePlus started dropping teasers about its upcoming phone. To start with, OnePlus has confirmed the OnePlus 6T via a television commercial. The ad aired during today's cricket match between India and Pakistan. It's worth mentioning here that the OnePlus 5 was confirmed last year in a similar fashion with a television commercial that aired during the finale of the Champions Trophy (that match was an India-Pakistan encounter too!). The ad opens with popular Indian actor Amitabh Bachchan saying, "What if I told you there is a cooler way to unlock your phone?' We already know that the 6T will be having an in-display fingerprint scanner, so Bachchan is clearly hinting on that. The actor next says, "The new OnePlus 6T is coming. Suna hai bahut tez hai." The last sentence translates to as "I have heard its very fast." The ad also shows the dual cameras on the back of the OnePlus 6T. The placement of the camera setup is similar to that of the OnePlus 6. Amazon India has a page up where you can choose to get notified about the launches of the OnePlus 6T and the new OnePlus Bullets USB-C earphones. We expect both of these to be launched together on October 17. The OnePlus 6T is confirmed to ditch the headphone jack in favour of a fingerprint scanner embedded under the display and a larger battery that will be "substantial enough for users to realise." We will keep you updated about the OnePlus 6T as leaks and rumours pour in.